One of my all-time favorite books went missing. I know it’s not lost. I know it’s somewhere in the house. But it’s one of my books that I’ve read many, many times. So many times, that I’ve replaced it and its companion books more than once (bemoaning every new cover, too–of course, I loved them all). As a kid, I was a voracious reader, and my tastes ran toward science fiction like my parents’ did. Back in the early ’80s, there wasn’t much science fiction that a thirteen-year-old girl could read that didn’t have adult themes in it. 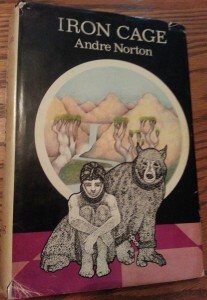 Enter Andre Norton’s books. She was my gateway author drug into SF. She wrote by her own standards, the way she thought stories should be told. Some of her work was intended for younger audiences (Star Ka’at), but most of it was for adult audiences, because that was normal during the early years of SF. The whole point of this post was to talk about a missing book. I’m getting to that. 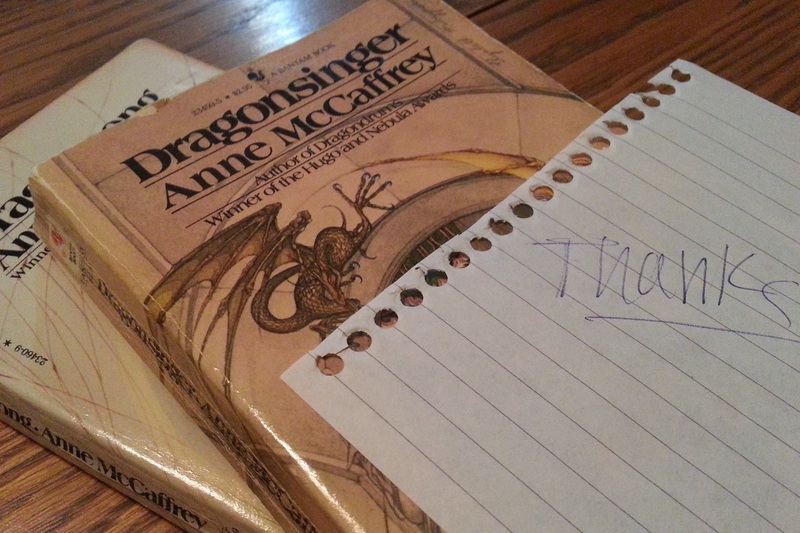 Before I was 14, I was allowed to read the Harper Hall trilogy that I listed at the beginning. Thus began my love of dragons and fire lizards, and these were purely genetically-engineered science fiction dragons. (Look! Dragons–my gateway into something called fantasy…) I even dreamed once that I had my own fire lizard. I was just a bit disappointed that it was my dog curled up against me on my bed. How cool would that have been to wake up with a fire lizard sleeping on my bed? How did I get going on this tangent? This week, I read the first page of Dragonsong. I love that opening. I thought of it because Lynette Burrows asked about hooks on her blog. Mockingbird noticed the book, so I gave it to her to read. Then she read the next one. 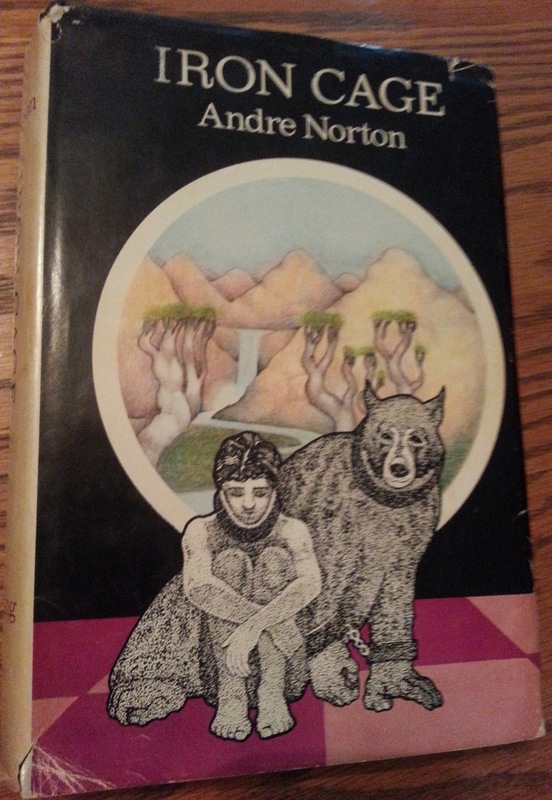 While looking for the third one, I saw all my Andre Norton books, including a first edition of the Iron Cage that my mom gave me. These two authors fed my hunger for stories when I was a kid and sparked a fire to want to write. 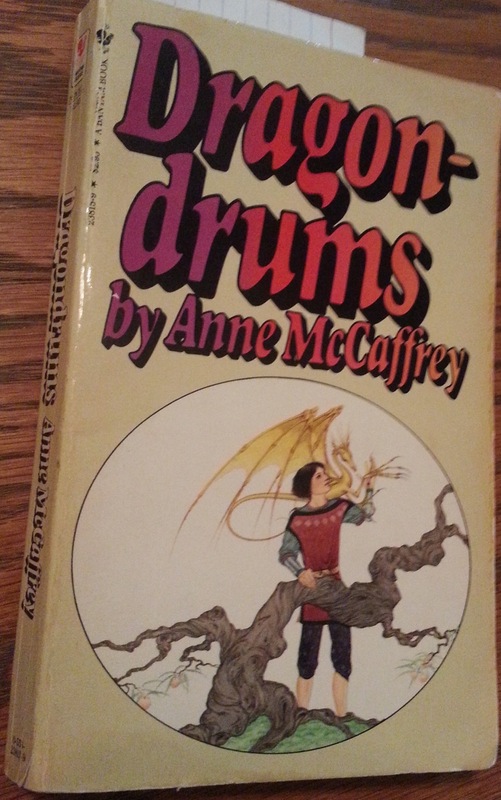 Anne McCaffrey’s books, and not just the ones about Pern, were the ones I read over and over again. I read them the way Mockingbird reads the Harry Potter books. I’d read new stuff, too, but these were my comfy books. Then, I noticed Mockingbird reading a thin book (she doesn’t read thin books). It was the missing Dragondrums! She’d found it on the shelf behind another book and didn’t tell me. I shouldn’t be surprised that she likes the same books. Now, some of my favorite SF gateway books are hers, too. She loves the characters in these three books as much as I still do. What were your favorite books as a teen? Did you read gateway drug books that made you interested in other, eh, books?